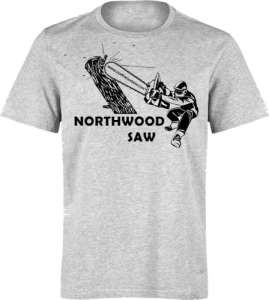 Northwood Saw T-Shirt. Gilidan brand Heavy cotton with wood Cutter design. The shirt color is Gray with black print.